Since Dara Khosrowshahi came to Uber as CEO about a year ago, there has certainly been less drama, but drama remains. Over the last few months, there were reports of Uber COO Barney Harford making insensitive comments about women and racial minorities, as well as Uber’s now-former Chief People Officer Liane Hornsey making denigrating comments toward Uber’s global diversity and inclusion lead Bernard Coleman and Bozoma Saint John, the chief brand officer who left in June. 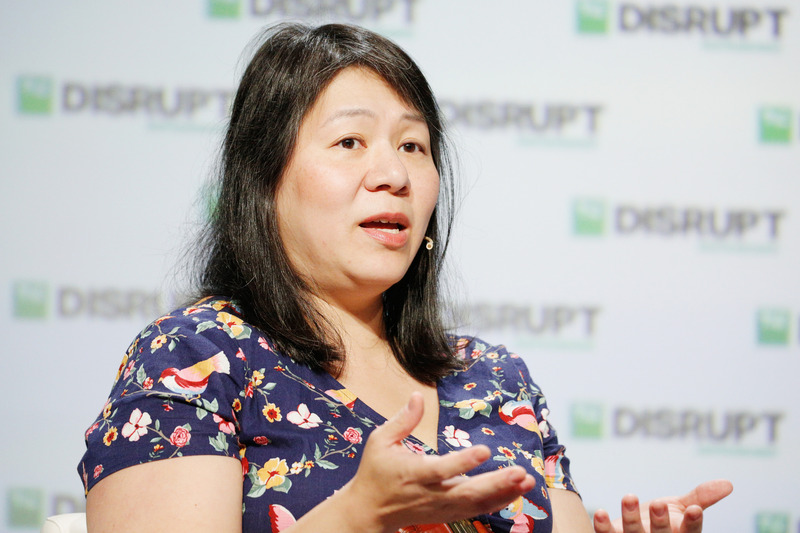 At TechCrunch Disrupt SF earlier this month, I sat down with both Khosrowshahi and Uber’s new, first-ever Chief Diversity Officer Bo Young Lee, who joined in March. Believe it or not, there are still bad actors at the company, so Uber still has work to do. What surprised me, however, was Khosrowshahi’s defense of Harford, not only saying that he’s “an incredible person” but that he’s also “one of the good people” as it relates to diversity and inclusion. 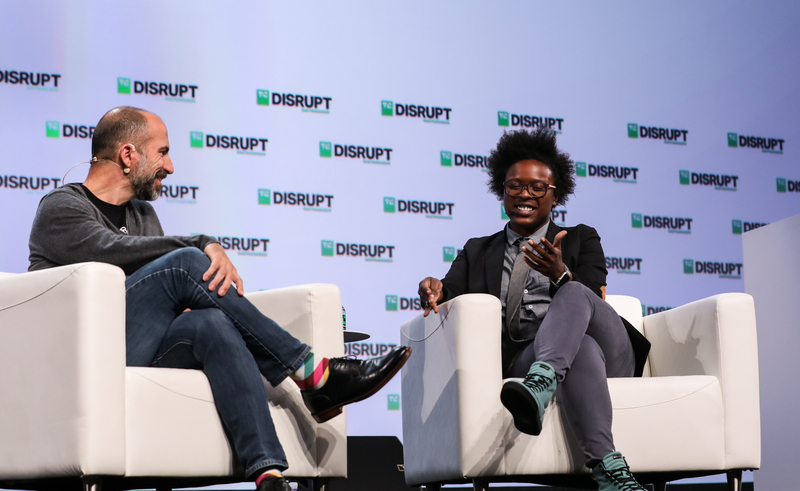 Lee, when I asked her if she agreed with Khosrowshahi, said at Disrupt, “absolutely, 100 percent.” Lee, on a call ahead of Disrupt, described the importance of internal diversity champions who find ways to bake diversity and inclusion into their everyday workflow. Onstage, Lee described how she had been aware of the allegations against Harford and had already been working with him around inclusion. In fact, she said, Harford had reached out to her, admitting that he knew there’s a lot to learn and that he’d like for her to help him. Harford also wrote, in Khosrowshahi’s words, “a really heartfelt apology letter to the company,” but it’s still hard for me to get on board with the idea that Harford is one of the “good” ones. This is not to say people can’t be imperfect and can’t change — an idea Khosrowshahi made quite clear, and one that I generally believe as well — but I would just hope that there are some better “good” ones out there. During my conversation with Khosrowshahi, we also chatted about the hiring of Lee as CDO, as opposed to promoting Coleman, and the fact that she doesn’t report directly to the CEO — despite the suggestions of former Attorney General Eric Holder. Though, it’s worth noting those suggestions were directed toward now-former Uber CEO Travis Kalanick. That’s an area where Lee is working with recruiters to better identify ways to source that talent. Lee is also working on ensuring Uber’s new cultural norms actually get baked into the company. Last November, Khosrowshahi introduced Uber’s new cultural norms, which include values like “We build globally, we live locally” and “We do the right thing. Period.” Before, Uber’s values were indisputably much more aggressive. Part of what’s hard right now, she said, is getting Uber employees to the point where they “feel like they can trust that the system will work.” Regarding the allegations about Harford, Lee said that she was aware of them and looking into them, but didn’t resolve them by the time the NYT piece came out. Lee also told me, ahead of Disrupt, that she’s exploring the idea of what fewer levels of hierarchy at the company would look like.